Russian billionaire Roman Abramovich has invested $5 million in Houston-based Propell Technologies, which through its subsidiary Novas Energy USA has exclusive U.S. rights to a new fracking technology known as plasma-pulse (PPA). The investment was made through Ervington Investments of Cyprus, of which Abramovich is the ultimate beneficiary. In the deal, Ervington acquired more than half a million of preferred shares of Propell and an option to buy another nearly 3 million securities worth $9.75 million. Although PPA is still undergoing testing, its potential for the shale oil industry is huge. When using traditional hydraulic fracturing, water or acidic solutions are pumped into wells under high pressure to extend fractures in shales and squeeze out the oil and gas. PPA, however, uses electrical pulses to fracture shale. PPA is considered “clean” fracking because it does not depend on water or chemicals. The technology has a Russian connection deeper than Abramovich. PPA was developed at the St. Petersburg Mining Institute and the St. Petersburg Scientific Research Institute for Electrophysical Apparatus in the early 2000s. In 2007, Novas Energy Services was established to develop and promote the technology. Prior to the investment from Abramovich, Novas had already attracted $10 million of investment, including $1 million in grants from Skolkovo. "We are investing in this technology because we believe it is very promising," said John Mann, a spokesman for Abramovich’s investment firm Millhouse Capital. According to Mann, Abramovich intends to apply the technology "everywhere,” not only in the United States and Russia. At the moment, Novas has nine patents in Russia and one patent application pending in the U.S. Its technology has been tested in more than 300 wells in Russia, China, Eastern Europe and the U.S. Last year, PPA technology was tested on a Gazprom field in Siberia. According to the U.S. Energy Information Administration, Russia has the largest reserves of recoverable shale oil – 75 billion barrels, although Russia has not done as much to develop its shale oil as the United States, which has the world’s second-largest shale reserves with 48 billion barrels. China, with 32 billion barrels, is third. The Oilprice.com website said that the current deal is just the beginning. "Investments won’t be limited to $15 million. Abramovich has huge plans. He will get access to infrastructure and be able to start new deals, which at the current lower prices will provide him an important place in the oil industry in the U.S. It is possible that he will end up investing $100 million dollars," wrote Oilprice, citing a source close to the deal. "Abramovich built Sibneft on massive fracking operations run by international service companies. He knows this industry and can spot the genius in Novas technology," Pat Davis Szymczak, publisher of industry magazine Oil and Gas Eurasia, told RBTH. Roman Abramovich, who has a personal fortune of $9.1 billion according to the Forbes, is already an investor in oil technology. Last summer, it was reported that he invested $2 million in Israeli firm AcousticEye, which specializes in the development of high-tech, non-invasive methods for inspecting oil pipelines. 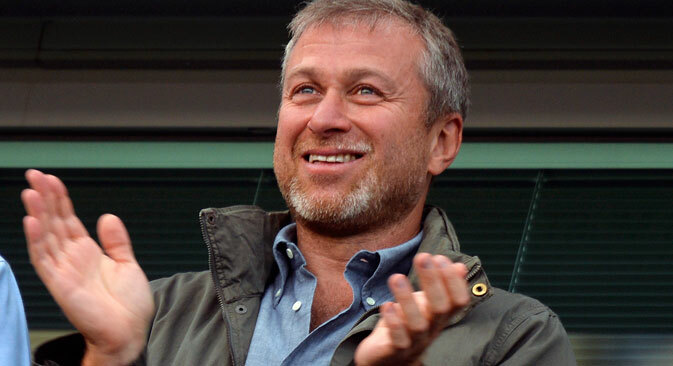 Additionally, the investment firm of Roman Abramovich’s son Arkady, 21, controls British oil and gas firm Zoltav Resources, whose branches operate in the Khanty-Mansiisk Autonomous District and the Saratov Region. The article is abridged from the original, which was first published in Russian in RBC Daily.